TOPAZ HORIZON: Praying praying praying! 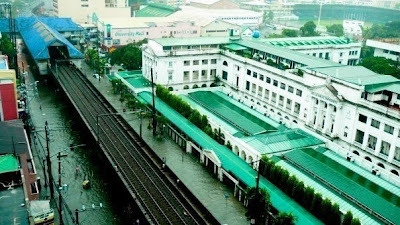 Typhoon Ondoy is not done with the Philippines yet. Weather bureaus say that it will leave the country on Monday. Monday! The region is almost underwater already! My family is in Cainta. In Edward VII St. in Kingsville Subd. to be exact. They are flooded in. The entire first floor is underwater. The cars are underwater. In some areas, the flood is 10 feet deep. Mobile phone services are down, and even if it were running, there's no electricity so I'm sure they won't have their phones ready. I'm fine--I live in a condominium high above the city. In fact, we're so fine, we didn't realize what was happening to the rest of our countrymen. Cable service was down so we weren't updated with the news and no one in my family was calling me or texting so I assumed everything was okay. Turns out they were too busy salvaging their possessions and fleeing the flood. This is one time that the adage "no news is good news" simply was not true. They are currently fine now, at the second floor of a neighbor's house. But they are surrounded by water. And if the weather bureau is correct, then the storm isn't over yet. I believe in the power of prayer. So I am praying with everything in me that my family will be okay, the storm will go away sooner, the floods will go down and the sun will shine again. Soon! Katipunan Ave. in Loyola Heights has become a river. If you are reading this, then thank God you are somewhere warm and safe and dry. Please please please pray for my country! *photos taken from all over the Web (blogs and Facebook). Not mine! I hope that by tomorrow, the floods are gone. I seriously cannot sleep right now because my brother is sleeping at his school, he got trapped. 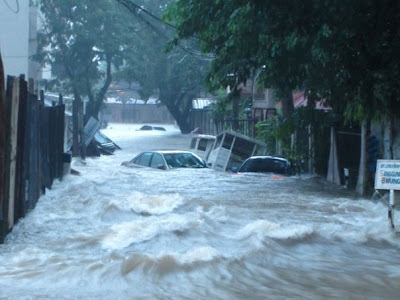 I'm praying for our country, mostly for families and people who got trapped and stranded. Frances! Hindi ako makatulog! Nakakaloka today. Like you, I also didn't know anything significant was happening. So I was just overwhelmed when I found out about Bubs and the rest of the country. Grabe! 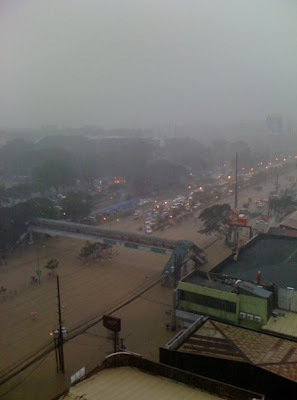 I was in Katipunan yesterday but I stayed at my dorm all day so I didn't know that the flooding was that bad. I hope your family's okay now. 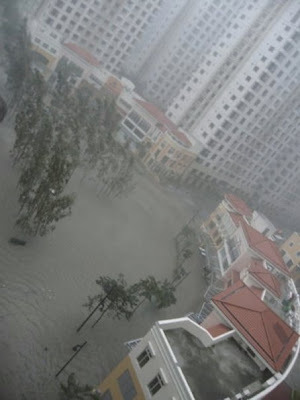 My relatives in Manila are in the same condition. I really pray that the water level recedes soon. Frances, my family's in Kingsville too! Nothing was salvaged but thank God all of them are safe. They were able to check-in at the nearby hotel/motel. hi there! my friend lives also in kingsville. we haven't heard from her yet. last text message we got she said they were stuck in the 2nd floor. i think they also live in edward st. we have no contact. would know if there's still flood in the area? Cat, there is no more flood since Sunday in Kingsville. But the rescue has only been able to go this morning because Marcos Hi-Way was flooded. I am going there tomorrow. What is your friend's name? I'll look for her.